Two other local operators have been accused of trying to stall the plan. PLAYZONE IN WEXFORD is about to get some competition with plans from the Pettitts, one of the best-known business families in the southeast, for a leisure centre in the middle of the county town. 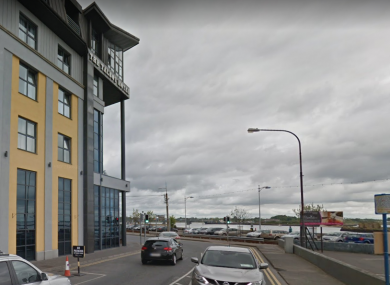 A company called Oyster Lane Limited has just been cleared by An Bord Pleanála to build the facility inside a major commercial development in Wexford town. Oyster Lane Ltd is a vehicle named after where the development will take place, at the Stonebridge Centre on Oyster Lane right next to Wexford Harbour. The Stonebridge Centre is an existing, five-storey mixed-use development made up of retail, commercial, office and residential space. The proposed project will see an entertainment centre built in one of the retail units. The ‘family entertainment centre’ will include bowling, a children’s play area and a restaurant and café. Almost all the shares in Oyster Lane Ltd are held by Cormac Pettitt, the managing director of the wider Pettitt group. The Pettitt family has been involved in various business ventures around the Wexford area for decades, and it currently owns half a dozen supermarkets, five hotels and a handful of pubs. The Pettitt group has sales of over €120 million and employs more than 1,000 people. The Sunday Independent recently estimated the net worth of the family to be €69 million. The family also owns the Talbot Suites, a luxury aparthotel built located at Stonebridge, right next to where the proposed leisure centre would be. Wexford County Council granted permission for the entertainment centre, however this decision was appealed to Bord Pleanála by several parties. Playzone, the well-known indoor playground chain with several outposts across Ireland, complained that the proposed new leisure centre “would impact on the financial viability of the business”. Aileen O’Connor, who owns Wexford’s other major leisure centre, Leisuremax, also complained to the planning board. She said that the development would be a traffic hazard and would “endanger public safety, especially for pedestrians”. O’Connor also claimed that Oyster Lane is “subject to antisocial behaviour and thus this makes it an unsatisfactory public access for a family entertainment centre which would cater largely for children”. Oyster Lane Ltd noted that the complainants are competitors and requested that their objections be dismissed on the grounds that their its sole intent “is to delay the application”. The planning board sided with the firm and said the proposal “would be acceptable in terms of pedestrian safety and convenience and that it would not have an adverse impact on the amenities of the area”. The new entertainment centre will be the second in the Pettitt group, which already owns the Dome, a bowling and kids play centre in Carlow. The development will also complement work that the group recently carried out on Talbot Suites. Formerly a group of apartments built during the boom, the development was converted into a 70-unit aparthotel. Email “One of Ireland's wealthiest families is building a leisure centre on the Wexford seafront”. Feedback on “One of Ireland's wealthiest families is building a leisure centre on the Wexford seafront”.